Reminder! The Star Trek Row Along is every other week right here on Fandom in Stitches. You'll find another awesome Row pattern right here one week from today! Rows will be posted every other week: 1/16/2019, 1/30/2019, 2/13/2019, 2/27/2019, 3/13/2019, 3/27/2019. Design Invitational on 4/3/2019. 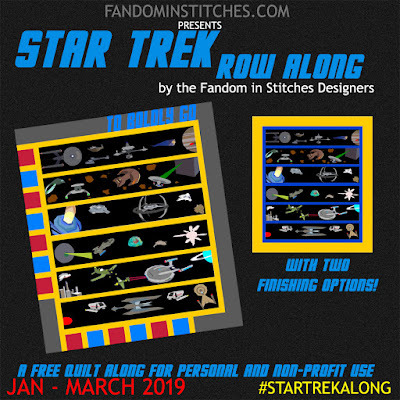 Click here to see the most recent Star Trek Row Along post!